Mitch McVicker returns for his sophomore album, and the most talked-about news this time out, is that all of the songs on Chasing the Horizon were written out of his experiences in the tragic car accident that left him critically injured and took the life of his friend Rich Mullins. McVicker definitely showcases a different musical style this time out, namely one that's more aggressive, and acoustic pop/rock in nature, leaning more towards the rock than the pop. McVicker seems to have settled comfortably into his own vocal abilities as well, with a laid-back air about his singing. He has also matured in his songwriting, taking on an almost Mullins-like bluntness and sincerity. I'm sure that eventually McVicker will outgrow the shadow of Mullins that everyone instantly associates him with. But in the meantime, it still seems a fair association. 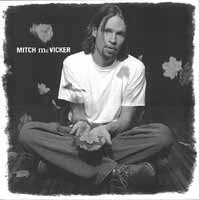 McVicker even acknowledges the undying link between the two with his touching ode, "Rich's Song" (listen closely for the hammered dulcimer in the background), and his cover of Mullins' 1985 song "When You Love." McVicker is definitely a talent all his own, but I still believe that he is successfully carrying on the Mullins legacy better than anyone else. Top Picks: "Strength to Move," "Upside Down," "Suits of Skin," "Watch Over Me," and "Rich's Song." Pros: McVicker seems to have somehow inherited Mullins' simple, rough-around-the-edges, lyrical eloquence. The Verdict: Mitch McVicker went through a life-changing experience filled with pain and suffering. He has emerged from it the other side, and created Chasing the Horizon as a portrait of someone who truly knows the depth of God's faithfulness. Mitch McVicker, for the two or three of you who may not remember, was Rich Mullins' good friend who was injured in the same accident that took Mullins' life. Listening to his debut album, it's easily apparent why the two were friends. This is actually a re-release of McVicker's independent record, which was released last year, and co-produced by Mullins himself in 1997, just one month before the accident. Even with Mullins' presence on both production and songwriting (he shares credits on three songs with McVicker), the album wisely maintains its focus on McVicker and his own musical talents. McVicker's vocals are not entirely unlike Mullins' -- very simple, relaxed, not trying to be more than what they are. The songwriting is made up of natural, fresh language, full of stories set to music. The music is mostly acoustic folk/pop, but isn't afraid to push the limits of that sound by engaging some harder sounds (see "Hope"). Top Picks: "Here & Now," "Freedom," "Hope," and "New Mexico," which at first sounds eerily like the kinds of things McVicker might say to Mullins now, despite the fact that Mullins co-wrote it before he died. Pros: Wisely maintains focus on the artist in question, instead of just becoming another album in an endless string of tributes to Rich Mullins. Raw, acoustic sounds that match McVicker's simple vocals. Cons: At times, McVicker's vocals can get a little too simple, almost like he's not trying very hard to hit the right notes. New version of "My Deliverer" doesn't hold a candle to the original.